Way back in the way back when, I used to wait with my mum for the bus home at the bottom of Castle Market in Sheffield. I’m convinced that she picked this spot for no other reason than irritating my tiny little nostrils with the thick, heavy stench that filled the air, which could only be described as ‘stuffy-yuck-yuck’ or whatever other childish description I had for it. Opposite that bus stop, across the River Don, was the Whitbread Brewery, pumping out the aroma of boiled hops and fermenting beer. At the time, I hated that smell more than any other odour I had the misfortune of smelling. When I was an estate agent (not all estate agents are insert your own profanity here), I once did an accompanied viewing to an empty house in a rather nice suburb of Sheffield. Running between the back garden and the annex (which – in my mind – was home to my future recording studio, once I’d miraculously raised the small fortune I would have needed to procure the property) was a hop vine. Having finished my official duty, I plucked two green hops from the vine and sat in the Mini Cooper – the only car of choice for an estate agent – and somewhat naively thought: ‘I could make beer with this!’. I didn’t realise it at the time, but these seemingly random events – stories like these and many others – would come to shape the next season of life. Since becoming a Christian in 2002, I had one passion, purpose and aim in life: to be a worship leader. (If you’re unfamiliar with that term, then my friend Aaron Keyes describes it here). This I have done in both a voluntary capacity and in paid employment. I’ve stood on platforms and sung my little heart out to and for Jesus nearly every Sunday for the past fourteen years. I’ve done it gladly in seasons of joy and thankfulness; I’ve led at countless weddings, baptisms and funerals for friends and family; and I’ve faithfully endured when it has cost me every fibre of my being to sing about God’s goodness in seasons where I’ve literally had to drag myself upon that stage and will my fingers to play the necessary chords. And then, literally overnight about three years ago, I felt very much that something was changing. I couldn’t figure out what, but I just knew that something was. I grappled and groped around in the dark for an answer for a long time, not drawing any conclusion. And then, I discovered the art of brewing. As my passion and capabilities for making craft beer grew, I wanted to share it with others, and before I knew it Emmanuales was born. To cut an incredibly long story short, it became apparent at the start of last year that I was entering a new season of life. Having started Emmanuales as a ‘side business’ (if such a thing exists), it was obvious early on that the Lord’s hand was clearly upon this beer thing that we’d got ourselves into: from a business point of view with an increasing demand for our beers and a rapidly growing reputation, but also spiritually as we experienced grace upon grace to share the Good News one beer at a time. 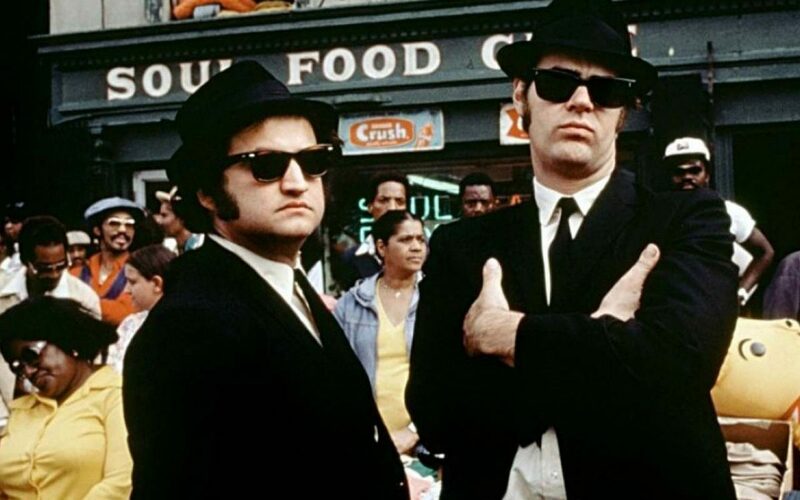 In the words of The Blues Brothers: we were on a ‘mission from God’. As the year progressed, it became evident that something somewhere had to give. I could no longer sustain carrying two torches. And so, through much prayer and consideration, with much wise council, and in sheer faith, I have decided that now is the correct time to step down from my current job as a Worship Director. I am excited to announce that from August this year I shall assuming the role of Brewery Manager for The Sheffield Brewery Company, based in Kelham Island. Emmanuales will come under the umbrella of The Sheffield Brewery Company as an additional brand produced and sold by the brewery, and I will be joining the team in order to grow and develop both The Sheffield Brewery Company whilst continuing to brew the “Jesus beer”. The last nine months have been a mixture of exhaustion and exhilaration. In the words of Vinnie Jones, ‘It’s been emotional’. I’ve dumped a batch of beer, delivered over 200 bottles to a Christian event in Manchester, sold beer for an Alpha Course in High Wycombe, featured on BBC Radio Sheffield, brewed with a fellow Christian who specialises in Wheat beers, and have been invited to the launch of the Sheffield Beer Report: a report commissioned by Sheffield University, and conducted by Hop Hide Out and author Pete Brown (‘the beer drinker’s Bill Bryson’). Oh, and Songs of Praise called. They want me on their show. It’s funny how things work out, isn’t it?